No longer are shelves just shelves, today they are architectural objects in themselves. They’re no longer just the fixed bracket storage they once were, as form meets function and drives the access to almost limitless possibilities. 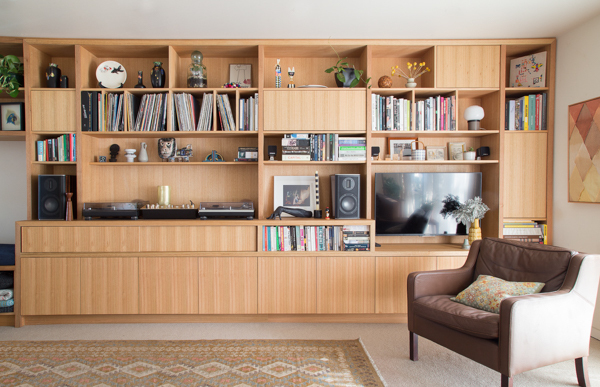 When it comes to storage, taking into account storage space such as cupboards and shelving is integral to harmonious design. So we’ve got all the inspiration for how to give your home a greater shelf life. The Rolls Royce of shelving is custom made, with its ability to maximise the space available, utilising every inch, even those tricky pitched ceilings. If your space is tiny, you live in a city and you love organisation, the modular shelving unit is another top of the range option. With ample storage, good design and countless configurations, it’s one of our favourite investment furnishings. For smaller scale storage, wall-mounted, free-standing and even roll-away shelving are viable options and stylish wall-mounted options include modern floating shelves. When it comes to freestanding shelving, at least locally, earthquake brackets are a must.